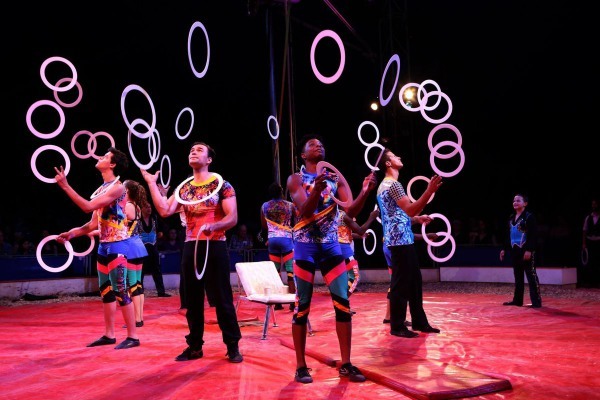 Circus Flora, a longtime St. Louis institution and family tradition, has found its new and permanent home, and its annual show will move from June to earlier in the spring, the circus announced Tuesday. Land at 3401 Washington Boulevard will serve as a permanent location for the red-and-white circus tent, which usually rises each summer over Grand Center on the parking lot behind Powell Hall. Circus Flora performances will run April 19 through May 13. The circus hopes to keep the tent up nine months out of the year for events and concerts. It will be known as the Big Top. When Circus Flora started more than 30 years ago, it performed in April and May, said its executive director, Larry Mabrey.